Aziz Gilani has spent the past 15 years focused on software and the internet. Prior to joining DFJ Mercury, Aziz was a Senior Engagement Leader with Infosys Consulting, an early executive at ABB Performance Services, a Senior Consultant at Cap Gemini Ernst & Young, and an Analyst at Lotus Development Corp.
Aziz has a BBA from the University of Texas where he was a TILF Scholar, and an MBA from Northwestern University’s Kellogg School of Management where he was an FC Austin Scholar, Kellogg Board Fellow, and Chairman of the Kellogg Private Equity and Venture Capital Conference. In addition, Aziz is a graduate of the Kauffman Fellows Program through the Center for Venture Education, where he completed industry-defining field work in Seed Accelerators. Aziz is a recognized expert in Seed Accelerators, and has been quoted in several national publications such as The Wall Street Journal, BusinessWeek, ReadWriteWeb, TechCocktail, and The Business Journals. 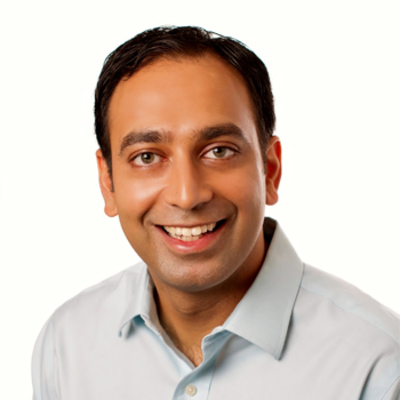 Outside of DFJ Mercury, Aziz serves in advisory roles for Chicago-based Excelerate Labs, the Kellogg School of Management’s Seed Accelerator Rankings, and the Knight Foundation. He has also taught at Innovation Norway’s Grunderskolen Program at Rice University and UKTI’s Digital Mission to SXSW.